The ultimate goal of a business is to create demand for its products. Every business domain has a different terminology to explain the demand/lead generation activities. A qualified lead creates more business opportunities and sales. We utilise marketing campaigns to generate leads. Our brand communication plan helps target the right universe/audience for lead generation. The customised and industry-specific mediums are used to approach the target audience. We use different media and communication patterns to drive traffic for your business. Data List Building: The main challenge is to identify the universe and target audience, to get their contact details. How to accumulate the data list for marketing campaigns or tele-callers, filter and validate the authenticity of the data are the major concerns of any business. 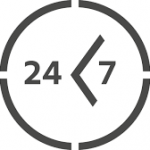 Our team has enormous data which can be filtered as per the customer requirements within minimum timelines. 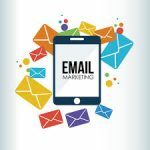 Email Campaigns: Once the lists have been identified, the next step involves sending emailers to the list. Though numerous automated mailing tools are available in the market, the customised mailing content and design help you create and send compelling campaigns with ease. We use different engagement tools to help throughout the customer journey. Telemarketing: Studies point out cold calling to be the most effective lead gen activity. It helps you define your market, get new prospects and increase your bottom line. The focus is on setting an appointment to make the sales presentation and close the deal while analysing potential customers and the business market. 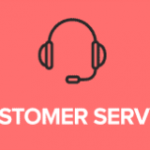 Customer Service: Customers require information on different aspects of your business, be it a sales enquiry, product usability, after sales services, product demo services or repeat sales along with sharing references. The quality customer services generate customer satisfaction, which goes a long way to enhance relations and increase sales. Our network of nearshore, onshore, and offshore delivery centres along with multilingual capabilities support end-to-end customer experience management. We offer web-chat, voice and email support across several processes including sales, service, and marketing.